Yes, this is Independence Day. This is about as close to a red, white and blue photo as we have taken for some months. A window box, in the oldest part of Charleston, South Carolina, made from some sort of fibrous material. It seems to work well, and the flowers were well cared for. 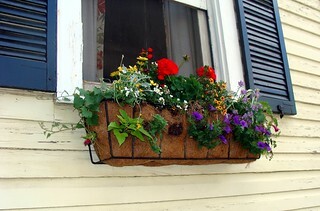 You can see the material of the windowbox better at the larger sizes.